Gardening has plenty of benefits especially when done just at your own backyard. It can provide you with free and fresh fruits and vegetables if in your garden you grow these types of plants. You can also enjoy the smell of scented flowers and be amazed with the splendor of blooming ornamental plants that gives your backyard a daily refreshing look. Every type of plants that you grow in your garden has its own benefits. These benefits are certainly useful to your house and life in general. But each plant has its own individual requirements for it to grow, bear fruits, and produce flowers. These requirements should not be taken for granted. Most importantly, even when all of these necessary requisites in growing a plant are already complied with, it is still essential that the person regularly performs the tasks of a gardener such as flowering the plants, trimming them, removing the weeds, and many more. In deciding the type of plants to grow in your garden, there are certain things you should consider first. 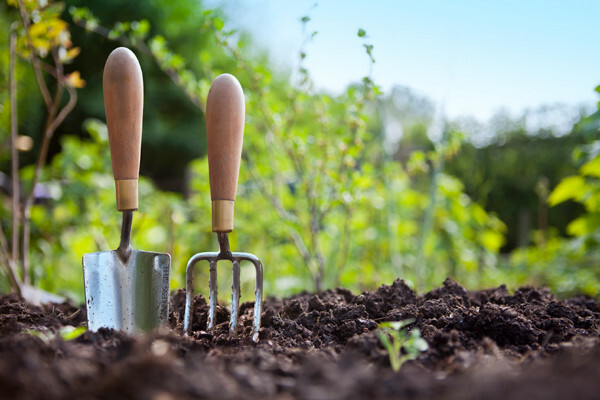 The kind of soil that you have in your garden is among the primary considerations before planting anything in it. Make sure that the plant your garden can grow and get vital nourishment from the type of soil it is planted. After this, the owner should then decide the purpose of the garden, whether it is for production of home grown vegetables and fruits to make it a point that a food is always available at home or to have a garden to improve the aesthetics of the backyard by planting various ornamental plants. Then, the size of the garden should also be determined to know what type of plants to grow since there are those that grow over an inch wide and tall while others have humble sizes that fit in the jars. With all of these basic considerations at hand, the gardener may choose to install modern equipments that aid him in doing his tasks for the beloved plants such as sprinklers, lawnmowers, garden tractors, and leaf or wood chippers and sweepers. These new technology makes gardening a lot easier and more fun to do. Finally, whether your garden is for beautification or for production, it is but worthy to provide some viewing spot to see the wonderful garden that you have. This viewing place can be a patio or simply an improvised shanty with some strong tarp as the roofing. To add more comfort while at the viewing spot, it is better if the place is warm even during winter season. Thus, installing some fire pit in the place will certainly improve not only the warmth and lighting of the space but it also adds to its embellishments especially that the said fire pit has a wonderfully designed receptacle that suits the outdoor garden design. Verily, having a garden at the backyard gives the owner a plethora of worthy and fun activities to do with wonderful products to reap after. A garden is not a dormant decoration that offers only one kind of entertainment. Gardening itself is already a form of entertainment notwithstanding the great benefits that it offers for the health and nourishment of the persons and the beauty of the house.